The giveaway date is December 5th - so get your entry in now. 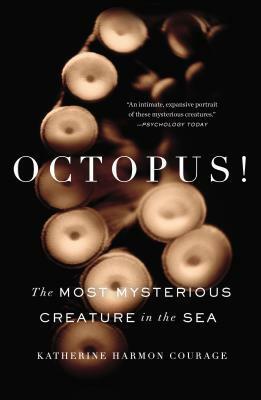 You can enter https://www.goodreads.com/book/show/20893450-octopus. Once you have you plates, and tea cups, and shower curtains, you'll obviously need these salt and pepper shakers from Modcloth.com. That's right, just one more step in out goal to make sure you have the ability to theme your household. Maybe hang some blue chiffon curtains like ocean waves and put some seaweed valances up and your set! Lets pretend like we were never gone! Well no, I apologize, that was a long pause. Time to try and play some catch up - especially with emails! In fact, here's one to start with. A friend sent me a link to this recently and I thought 'now where have I seen that before?'. Well it turns out that Sourpuss Clothing - the folks responsible for this delightful bathroom accessory - sent us an email a ways back with a whole series of tentacled products they offer. You can get your very own shower curtain on their website. Now all we need is an octopus bathmat and we're set! Ray Troll 2012 T-Shirts: Now With More Octopus! 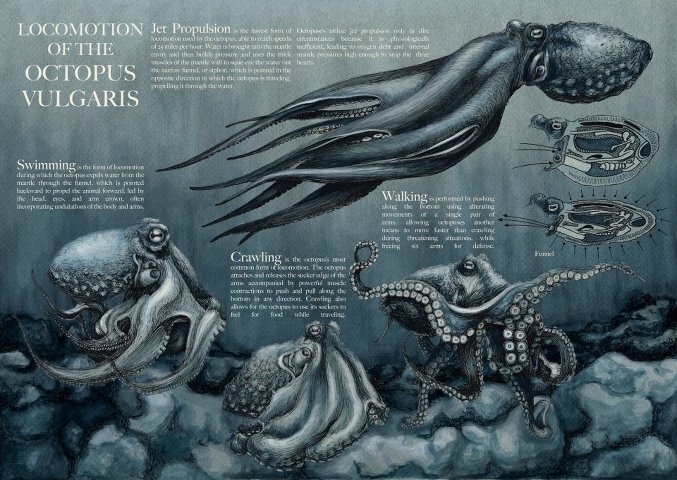 Ray Troll, an Alaskan artist best known for his fish and palaeontology t-shirt designs, has posted his new 2012 designs on his website, and six of the eight have a cephalopod on them somewhere. There's lots of other fun stuff to look at on Troll's site, especially if you like natural history, fishing, or Alaska, so take some time to click around.